Plant the seeds of justice. Become a teacher. 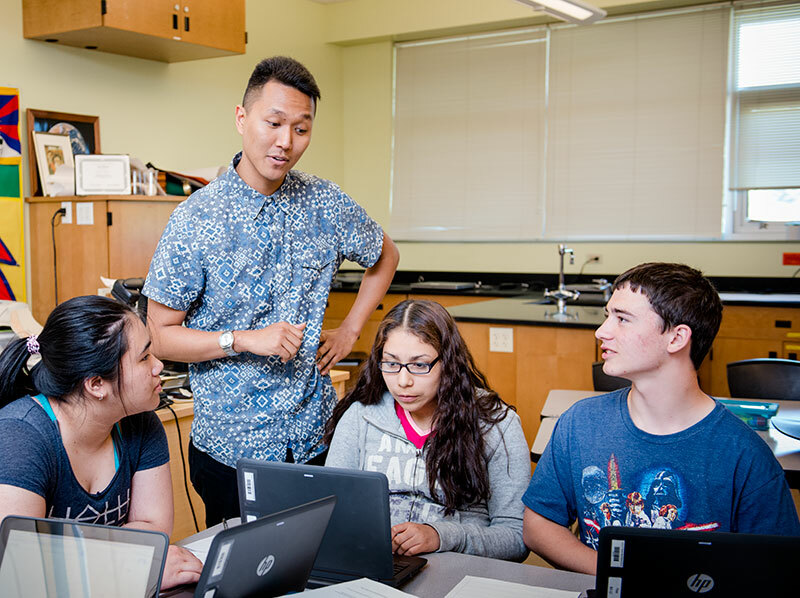 Tashi Langton, MiT 2015, works with students in biology at a Tacoma high school. You too can become an exceptional teacher, changing lives and creating a better future. The Master in Teaching program will be accepting applications in spring 2020 for a spring 2021 start. We value your patience while we engage in this process and invite you to support this work by sharing what you hope for from our program. Another way to provide input will be through upcoming listening sessions. Stay tuned for times and dates. Individuals interested in starting the program in spring 2021 are encouraged to view the subject areas you can teach and our application requirements. You can also schedule an advising appointment by contacting Jazminne Bailey at baileyj@evergreen.edu. Teacher candidates here are immersed in social justice, informed by our conceptual framework. As you learn classroom management and teaching methods, you will also examine how your perspective affects your teaching. You will explore how to use your students’ experiences to craft better curriculum. You will tackle questions of policy and politics head-on, from the local to national level. You will strive to enact equity pedagogies and environments which support the learning of all children. At the same time, you will gain extensive practical experience in the classroom. You will put your skills to use right away and throughout your candidacy, with many opportunities to spend time with K–12 students at a variety of ages. During year one you will have a weekly practicum placement. In year two you will devote fall and spring quarters to your student-teaching assignments. From first inquiry through graduation and beyond, you are supported by our knowledgeable, approachable staff and faculty. Our faculty demonstrate teaching approaches as you learn them. 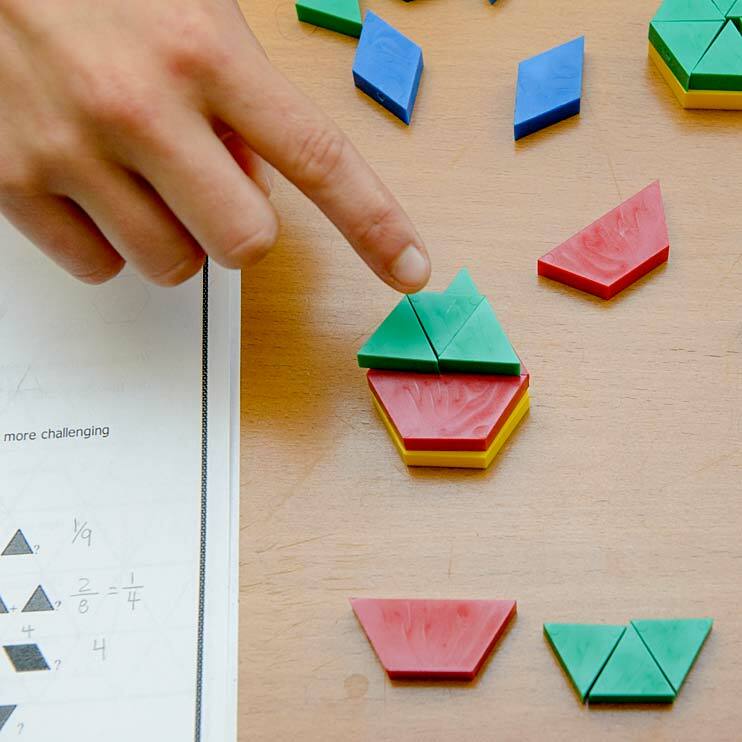 They provide extensive coaching and feedback during your student teaching. From day one MiT graduates seem experienced beyond their years, and are prepared to apply a valuable range of skills and subjects to their work. I see the benefits of Evergreen’s interdisciplinary approach in work at the high school as MiT alumni make connections and foster projects with teachers of different subjects. Please visit the MiT financial aid page for more information and how to apply. Because of our reputation for rigor and excellence, our graduates have an amazing job placement rate. As of September 2018, 100% of the class of 2018, 100% of the class of 2017, 100% of the class of 2016, 97% of the class of 2015, and 100% of the class of 2014 seeking employment have found teacher positions. Our graduates have gone on to do exceptional work as teachers in Washington and throughout the nation. With strong reflective writing skills honed in MiT, a significant number of alumni seek National Board certification and pass on their first attempt. Learn more about the amazing work being done by our alumni. Want to visit a class? Email MiT Assistant Director Jazminne Bailey at baileyj@evergreen.edu with dates you have in mind to coordinate your visit. Or request more information by email or postal mail.